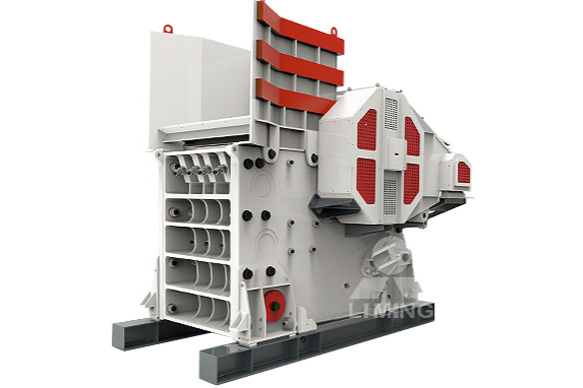 C6X series jaw crusher is produced by Henan Liming Heavy Industry Science & Technology Co., Ltd. that is the leading enterprise of rock & mineral processing equipment, which uses international advanced crushing technology and manufacturing level to crush various minerals and rocks. C6X series jaw crusher is mainly consists of the rack body components, jaw plate mounting components, moving jaw components, wheel components, adjustment device components, transmission tension components, foot installation components, feed hopper (optional) and protection Cover (optional) and other components. C6X series jaw crusher has a unique design of removable and non-welded structural frame, optimized cavity type structure, double wedge adjustment device, superior raw materials and components, elastic limit shock absorber, integrated motor base, high crushing efficiency and investment cost low, long life, efficient and stable, will become the world's favorite jaw crusher. Mining, metallurgy, construction, chemical, cement, refractory material, ceramics, etc. If you need to know more about our New Model C6X Series Jaw Crusher for Stone and Rock, please contact our 24hours online customer service or leave us messages below! <<Next：What are the advantages and characteristics of vertical roller mill?